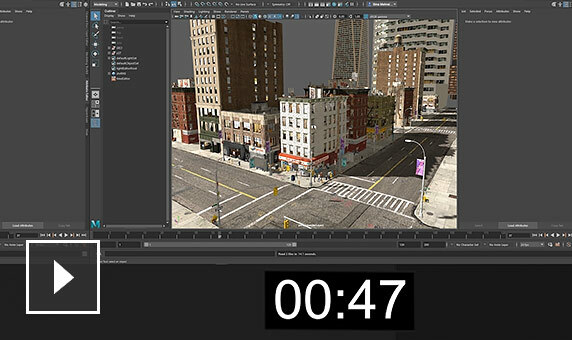 Maya® 2019 3D animation, modelling, simulation and rendering software helps artists work faster with enhancements to existing workflows and new tools. 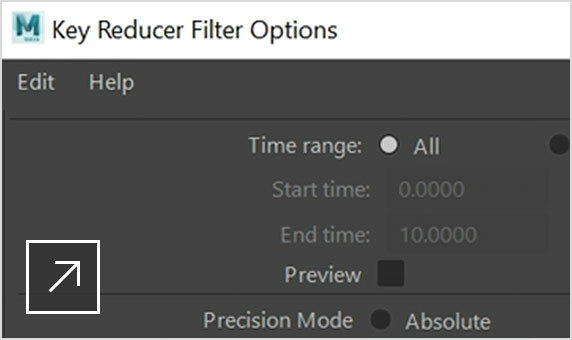 The new Butterworth and Key Reducer filters will help refine animation curves, particularly when using motion capture data. The MASH toolset gives you new nodes (curve, signal, world, placer and more), as well as updates to existing nodes. Create branding, flying logos, title sequences and other projects that require text. Import or copy and paste SVG files into Maya. 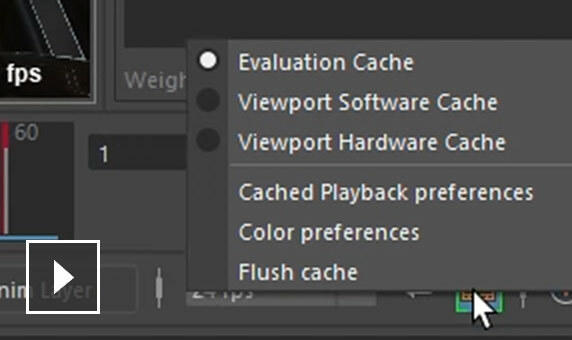 New system speeds rig playback and manipulation. Produce high-quality, production-ready bound characters in less time. Toolset for keyframe, procedural and scripted animation. Make high-level animation edits with a nondestructive, clip-based, nonlinear editor. Fine-tune your characters and animation more quickly and easily. Speed enhancements make your scenes even faster. The UV Editor interface has been overhauled and includes a new UV Toolkit with better tools and functionality. Sculpt and shape models more artistically and intuitively. Efficient library enables faster, more consistent Boolean operations on polygon geometry. Accelerate performance with interactive workflows. Simulate and render photorealistic liquids. Simulate high-level details just where you need them with the new adaptive solver for Bifrost liquids. Create atmospheric effects such as smoke and mist. Create realistic rigid and soft-body simulations. Create realistic ocean surfaces with waves, ripples and wakes. Shade complex scenes more easily. Work in a higher-fidelity, high-performance interactive environment to edit assets and images in less time. 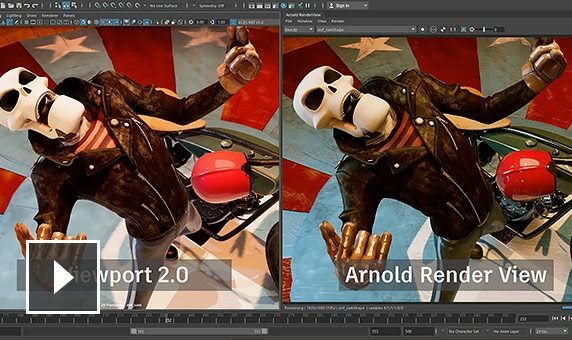 Use Arnold RenderView to view scene changes in real time, including lighting, materials and camera. Quickly render and manage complex scenes. Generate templates for the setup of a shot for easy re-use. Create, customise and integrate Maya into complex production pipelines more easily. Create Maya scripts and write plug-ins in Maya Embedded Language (MEL) or Python scripting language. Manage large datasets and heavy scenes with specialised tools and workflows. Create large, complex worlds more easily and manage production assets as discrete elements.